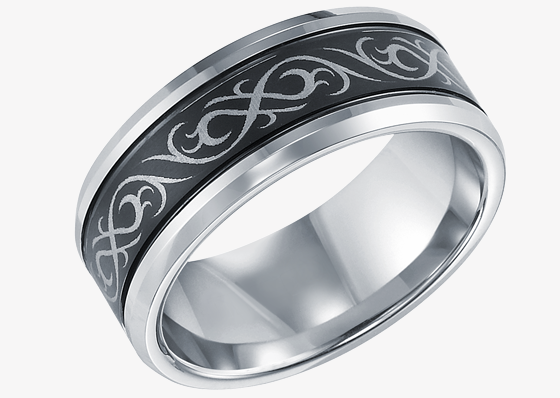 Are you planning on tattooing your wedding bands on your ring fingers? It’s an option sometimes seen on celebs and “regular” folks as well. But there are definitely beautiful — and far less painful — wedding band options worth your consideration. In case you haven’t made it to the engagement ring portion of the process yet, you can buy matching engagement rings and wedding bands, called “bridal sets.” You’ll have a perfectly matched duo for the bride and won’t have to think about wedding band options. For the ultimate in matching rings, “trio sets” include an engagement ring and wedding band for her, and a coordinating wedding band for him. Done, done and done! 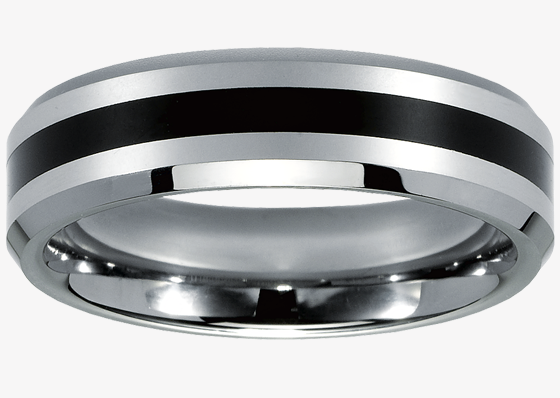 Wedding bands come in different setting styles, metals and metal colors, with and without diamonds or gemstones. Here are a few ideas for selecting a wedding band that is a perfect expression of your personal style. To match or not to match. There are a couple of ways to think about matching. 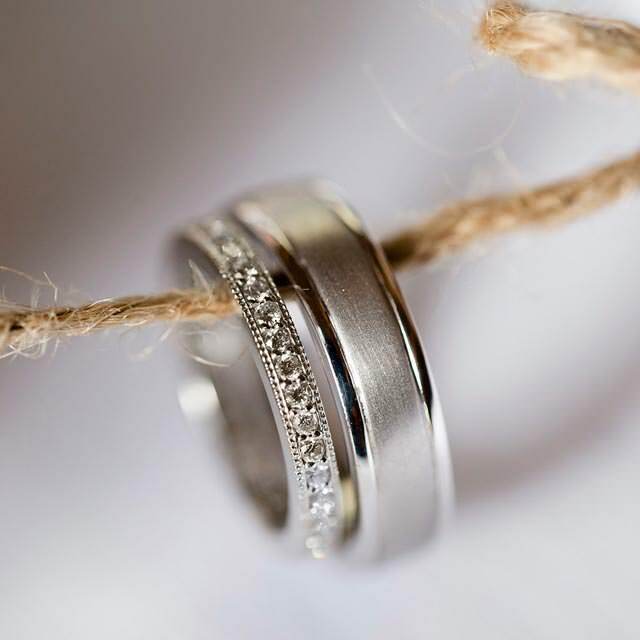 Do you want your wedding bands to match each other? Although this has been the tradition, it has waned over the years for many reasons, including a preference for a stronger, more scratch-resistant metal, or just due to changes in personal style. Do you want your bands to match her engagement ring? There’s no rule saying that if an engagement ring is a certain style, the wedding bands have to be, too. 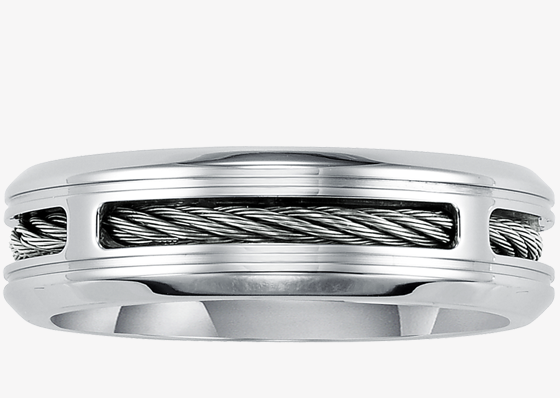 However, the two rings should complement each other, meaning you can buy a wedding band that will “go with” the ring, but not be designed for it. This requires a bit more design sense, since you will be coordinating a set yourself. 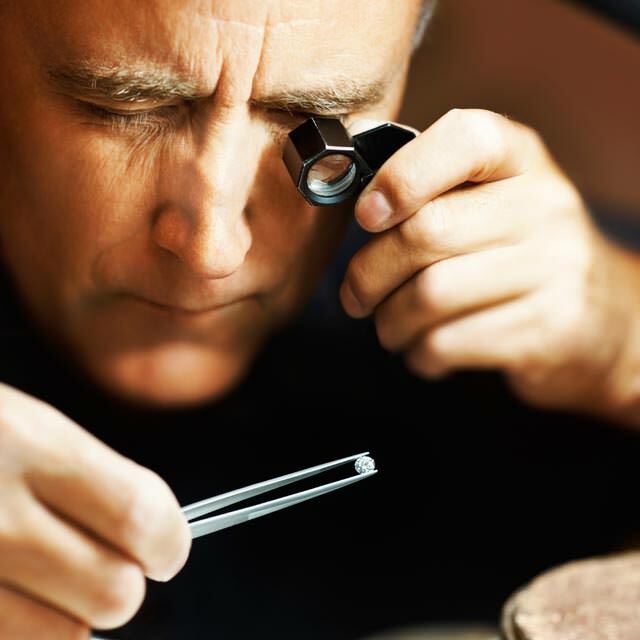 Look to your jeweler for help — his or her knowledge will be invaluable. Things to consider: The stones may be the same or you can mix white diamonds and color diamonds or gemstones. The metals may be the same (platinum and platinum; rose gold and rose gold) or you can mix gold tones in the engagement ring and wedding band. 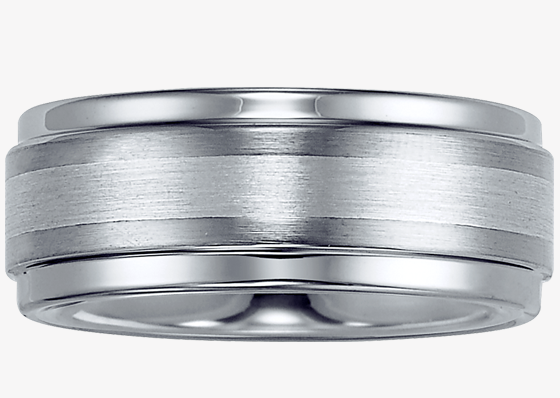 You might choose a wedding band that stands on its own. It might contrast with the engagement ring instead of merging, to create something new and different that really expresses your creativity and personal style. Don’t pass up the idea of a family heirloom. 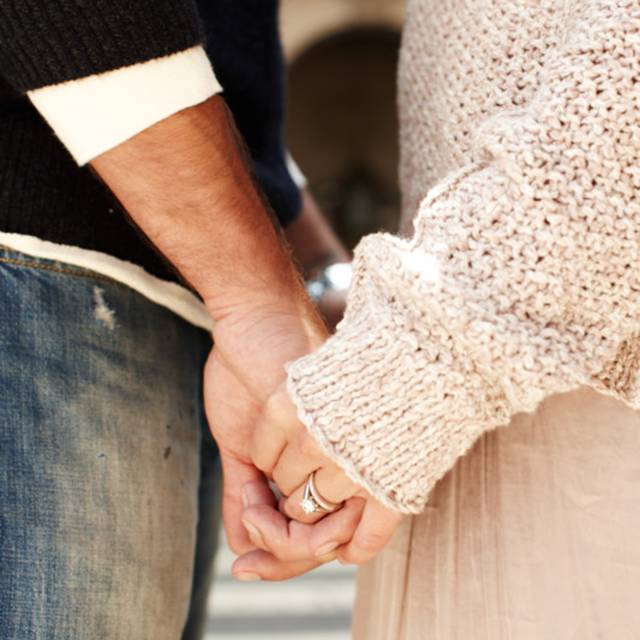 Wedding bands that have been in the family can imbue your vows with even more meaning. If owning a piece of history is interesting but you don’t have a family heirloom, then antique stores or estate sales can be great places to look for wedding bands. You’ve likely heard of yellow gold, white gold, rose gold, platinum and palladium, and all have their pluses and minuses in terms of color, care, hypoallergenic nature and cost. In its purest form, gold is 24K and soft and is not usually used in jewelry. It’s alloyed with other metals to increase its hardness and strength, and the karatage (represented by the numbers and the letter “K”) decreases as more is added. So 18K has the fewest metals added and is harder than 24K, but softer than 14K. And 10K is even more durable. 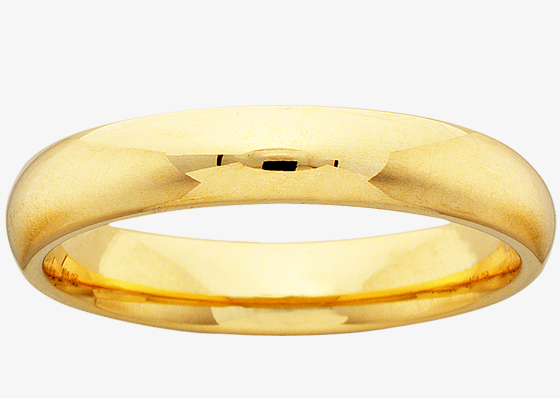 Yellow gold bands are probably the easiest and most practical to wear and repair. White gold is yellow gold that’s been alloyed with other metals like nickel or zinc to give it its white color. It’s usually plated with rhodium to give it a hard, reflective surface, but it will need to be re-plated when it shows signs of wear. 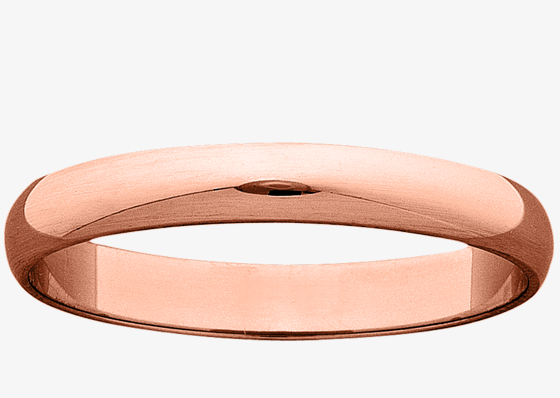 Rose gold contains copper to give it its rich, warm hue. 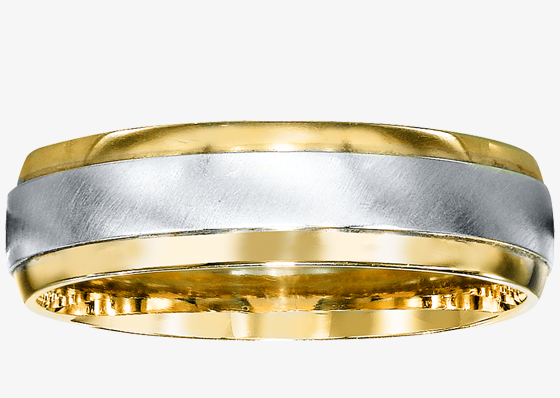 A mix of two or more gold tones in the same band is also a popular choice. 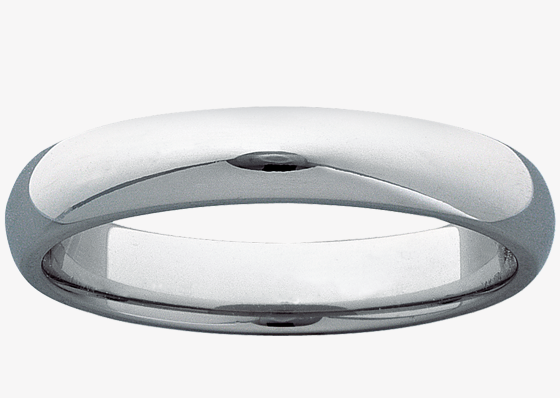 In the white metals, platinum bands are the most expensive of the commonly used metals because of platinum’s rarity, but they are also naturally hypoallergenic and a great choice for people with skin sensitivities. 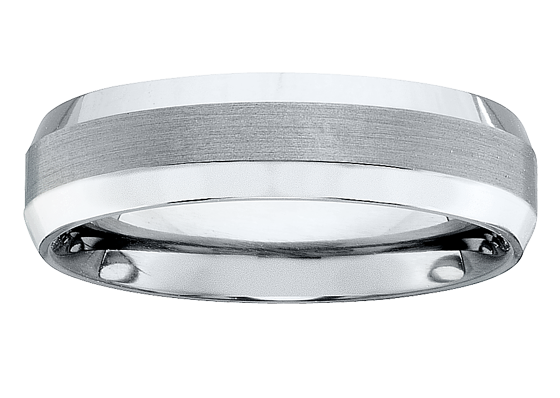 Platinum is also hard and heavy — the hardness makes it durable, and some people love the heft of a platinum band or engagement ring. Platinum also has a soft, satiny finish. Palladium bands are as naturally hypoallergenic as platinum, but comparable in price to yellow or white gold because the metal is less rare. Both are white in color. 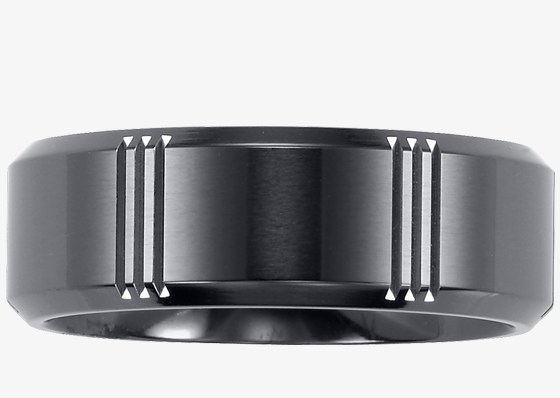 There’s also the interesting titanium and tungsten wedding bands. These metals are very durable and are steely or smoky-gray in color. The look is distinctive, but they can’t be resized. There are also new, incredibly durable alloys, such as cobalt, a 100% solid, naturally white alloy with high strength and resistance to corrosion and wear. Anyone who needs their rings to take a beating may require wedding bands as tough as these. If a plain band is not your style, wedding bands can come set with a variety of stones, though the most popular choice is diamonds. And yes, for men, too — why should the bride get all the bling? If you choose to go with stones, your choice is all about personal taste. While white diamonds are the most popular choice, you can also opt for color diamonds or contrasting gemstones — say a layer of amethysts or sapphires beneath a gorgeous diamond solitaire engagement ring. Adding to the possibility of confusion is the anniversary band. 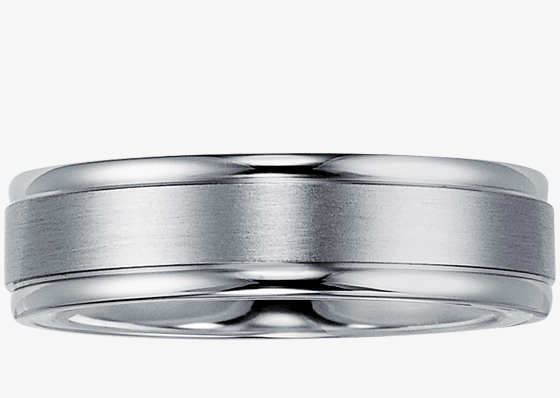 No, we’re not getting ahead of ourselves here; we know we’re talking about wedding rings. The term anniversary band typically refers to a band with diamonds. The diamonds can be clustered on the top or go all the way around the ring. Using an anniversary band as a wedding band is a popular choice for women who want to wear diamonds every day, but have practical reasons for not always wearing their engagement rings. Wedding rings are symbols of your commitment, and the exchange of them during your actual wedding is a true highlight. Keep that moment in mind when the choices seem overwhelming or start to swim together in your head. There’s no right or wrong in your choices about wedding rings — relax and enjoy the moments. Ready to shop? Kay Jewelers and Jared The Galleria Of Jewelry have a great selection of wedding rings. How much color a diamond has affects its rarity and price, so knowing what to look for in a diamond report and the diamond itself can make a big difference.